This problem extends the ideas explored in Number Pyramids and More Number Pyramids. Here is a function pyramid for you to explore. Select numbers for the three spaces on the bottom layer, and look at how the rest of the numbers change. If you are using a mobile phone, you may need to rotate your screen to landscape orientation. 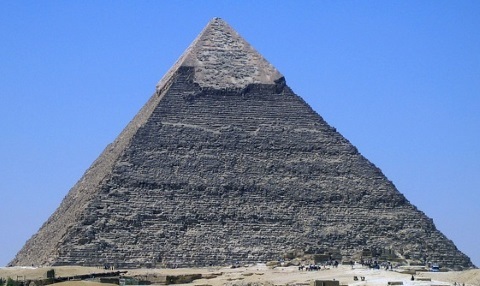 Can you work out the function that determines the middle and top layers of the pyramid? Can you choose numbers for the bottom layer so that the number 1 appears in the top cell? Can you do it in more than one way? Can you choose numbers for the bottom layer so that the number 5 appears in the top cell? Can you choose numbers for the bottom layer so that the numbers in the middle layer are negative? Can you choose numbers for the bottom layer so that the number in the top cell is negative? 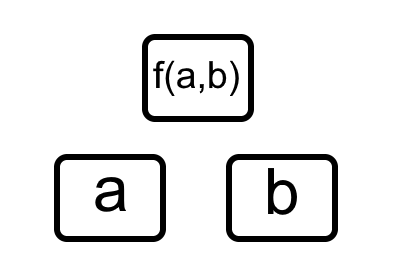 Functions and their inverses. Surds. Chemistry. Mathematical reasoning & proof. Working systematically. Biology. Graph sketching. Networks/Graph Theory. Logarithmic functions. Powers & roots.